If you’re in the Dayton, OH area and are looking for a comprehensive auto repair service, discover what other Dayton area residents and car owners know about Smith's Auto Repair. We are your reliable professional auto repair partner in Dayton, OH, and the surrounding areas. 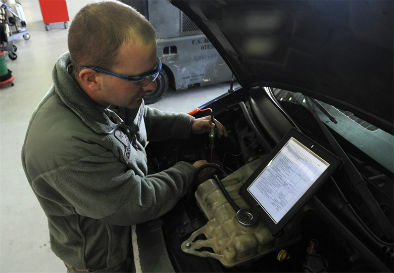 We're unique in that we provide digital inspection services that allow you to see what our technician sees, allowing for complete transparency during the auto repair process. You'll get a text message detailing your inspection complete with pictures and video! 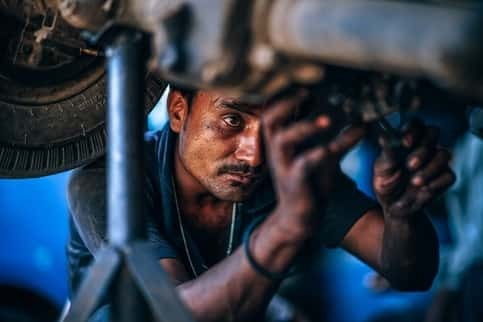 Our team of auto repair specialists in Dayton, OH has the training and experience to expertly tend to your vehicle needs and ensure it runs smoothly. We are proud of our ASE certified mechanics, who have the knowledge and professional expertise required to diagnose your car problems and determine solutions to get you back on the road quickly. It’s our commitment to service your vehicle right the first time at an affordable price, in a timely manner. Not only do our professional auto mechanics take time to listen to you when you visit our shop, but they also explain every job that needs to be done and always provide you with an honest estimate in advance. It’s our job at Smith's Auto Repair to provide high-quality auto service. Your first move whenever your vehicle breaks down and stops working properly is usually to contact a professional auto mechanic. But, did you know your vehicle requires attention, care, and proper maintenance for it to run smoothly? Scheduling tune-ups as needed help catch and fix car problems that could later turn into huge catastrophes thereby saving you money in the long run. Please Click Here to learn more about our Tune-Up Service! When you need thorough exhaust system diagnosis and repair for your vehicle, turn to the ASE certified technicians at Smith's Auto Repair in Dayton, OH. We’re committed to ensuring your exhaust functions and sounds better and keeping your car in working order. 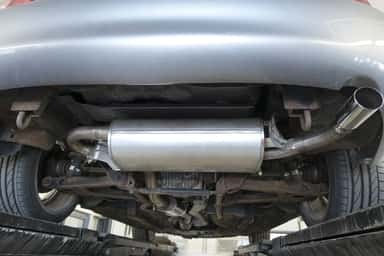 ​Please Click Here to learn more about our Exhaust Repair Service! Looking for a way to trust your mechanic? Look no further. At Smith's Auto Repair, we utilize a digital inspection service for all of our customers. You get to see exactly what the mechanic is seeing with pictures and video of exactly where the problem lies with your car. All of which is sent to you via text message or email. It's the future of how mechanics will interface with customers, but at Smith's Auto Repair, the future is now. Please click here to learn more about our digital inspection service. Is your once cool and comfortable car now blowing out hot air? No need to worry, we at Smith's Auto Repair have the tools and equipment necessary to get your running cool and comfortable once again. Let our ASE certified technicians diagnose and fix your air conditioning issues with speed and certainty. 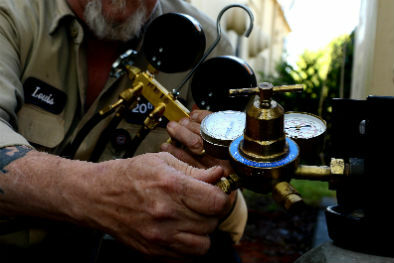 Please click here to learn more about our auto HVAC service. Are your tires wearing uneven? Is your car pulling to the left or right? Is your steering wheel shaking and wobbling or just overall poor handling? If so, it's time to get your wheel alignment looked at. 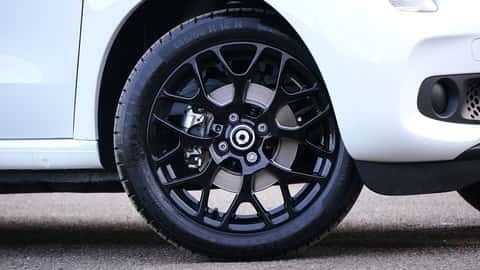 Having your wheels aligned can help fix all the above problems and save you money in having to replace tires that have worn prematurely. 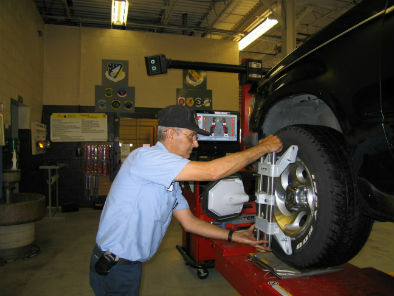 Please click here to learn more about our wheel alignment service. Our experience as professional auto mechanics has taught us the importance and value of vehicle maintenance. 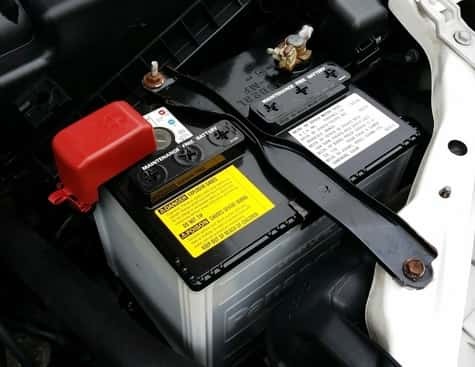 Maintaining and taking care of your vehicle helps you avoid multiple costly repairs thereby saving you money and lengthening the life of your car. Neglecting or putting off car problems today simply gives room for them to become worse tomorrow. 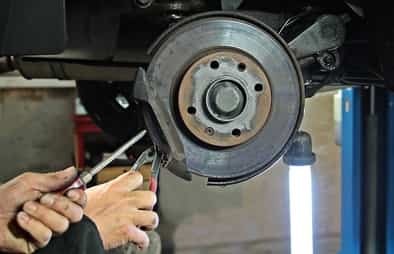 What was an inexpensive auto repair ends up becoming a major replacement. It’s important that you keep up with your vehicle’s recommended, routine maintenance to avoid car breakdowns or even a dangerous accident. Furthermore, taking care of your car is cheaper and simpler. We at Smith's Auto Repair understand how busy your schedule can be and you don’t always have time to service and take care of your vehicle. Perhaps you don’t even understand what needs to be done when that light comes on. No need to worry. We’re here to help! From checking your car tires and repairing your brakes to routinely checking your car’s fluid levels, our professional auto mechanics will make sure your car is in top operating condition at all times to run smoothly and efficiently. Dayton Auto Repair Services you can Count on! When it comes to diagnosing your car problems and having them fixed, you want a service center that not only finishes the service or repair work on schedule but also stands behind all their work. Honesty, trust, integrity, and quality workmanship are important to us as a business. We at Smith's Auto Repair guarantee both our labor and parts and ensure you get your money’s worth. Our mechanics have years of experience and professional expertise working on different makes and models of vehicles. 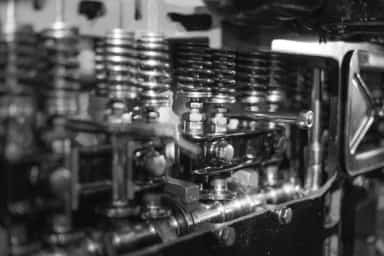 You can count on us for high-quality, affordable automotive services in Dayton, OH. For a high-performing vehicle, trust the ASE certified mechanics at Smith's Auto Repair with your van, truck, or car. We invite you to schedule an appointment for your next auto repair service or routine maintenance. From brake repair to car tune up service to car exhaust repair-let us help you maintain your vehicle and ensure it is reliable and safe. Contact us today! Searching for reliable and trustworthy mechanics is something that you’ll need to do at some point in your vehicle’s lifespan. And at Smith's Auto Repair, we’re proud to provide Dayton, OH residents with a full range of auto repair services at affordable prices. Here at Smith's Auto Repair, we understand how important it is to find a highly-trained and experienced mechanic you can rely on, so your complete satisfaction is our number one priority each and every day. Our team always follows your manufacturer’s guidelines and maintenance recommendations so you can have the best performance and efficiency of your automobile. Our Dayton Auto Repair Service offers you years of industry experience and professional expertise from our skilled technicians. You can count on the friendly professional service, high-quality repairs, and fair prices at our auto repair shop! 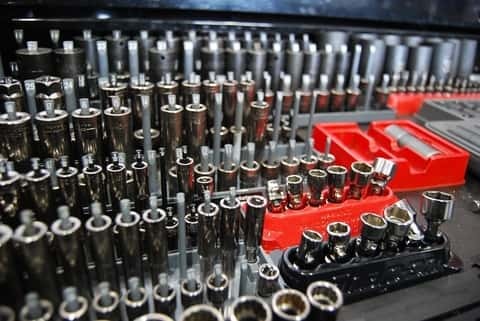 Not only are we equipped with state-of-the-art equipment but also employ the best mechanics in Dayton, OH. When you bring your vehicle to Smith's Auto Repair, our qualified technicians will listen to your car repair and maintenance needs before diagnosing and fixing any problems. We believe in helping our clients make informed auto repair and maintenance decisions and advising them how best to take care of their automobiles. After our team has diagnosed your car, they’ll explain to you the solutions or rather services needed to fix the problem and provide you with a free repair estimate. It’s our commitment to provide you with high-quality repairs, excellent value, and exceptional service. No matter the car problem or service you need, our dedicated team of mechanics will approach each and every job brought to us with the same dedication and commitment to excellence. Look to our auto repair shop for the most comfort and convenience possible! We are your one-stop auto repair shop in Dayton, Oh and surrounding areas for everything from routine maintenance, to tune up services, to specialized auto repair services. We’re here to help ease the stress and hassle of auto maintenance and repair. 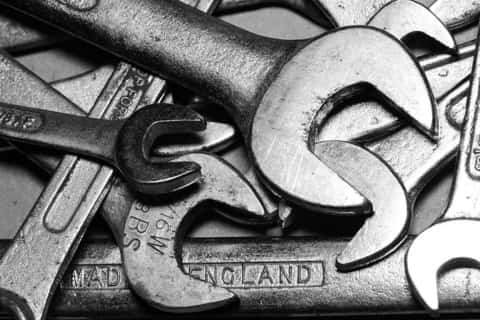 Our team of trained mechanics’ areas of experience and expertise ranges from; exhaust system repairs and brake repair service to engine performance repair and other complicated repairs. Our clients feel confident in our auto repair service because our mechanics take time to communicate and explain any needed repairs or maintenance service to ensure they’re completely satisfied. We perform all your car repairs quickly, correctly, and inexpensively. 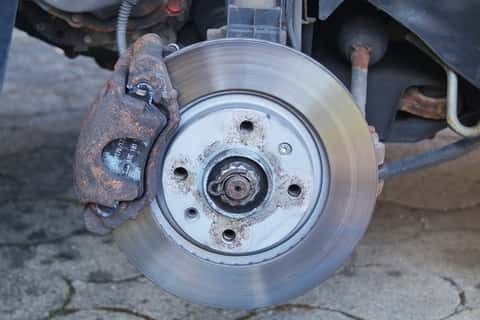 Trust us to get your vehicle back on the road safely and quickly. When you want a highly-trained, trusted ASE-certified mechanic to help with your auto repair and maintenance needs, turn to Smith's Auto Service. If you want to learn more or have questions about our Dayton auto repair services don’t hesitate to contact us today. We look forward to earning your trust as a reliable and honest partner for all your auto repair needs in Dayton, OH.